JAY DEFEO was a mixed-media artist working in the San Francisco area from 1950 to 1989. The Rose (1958–66) is her most famous work and took almost eight years to complete. Massive in scale, layered with nearly two thousand pounds (approximatively one ton) of paint, the overpowering painting was already famous before its first exhibition in 1969 at the Pasadena Art Museum. It was next exhibited in San Francisco, then stored at the San Francisco Art Institute, where it languished for twenty-five years before a historic conservation restored it to public view. 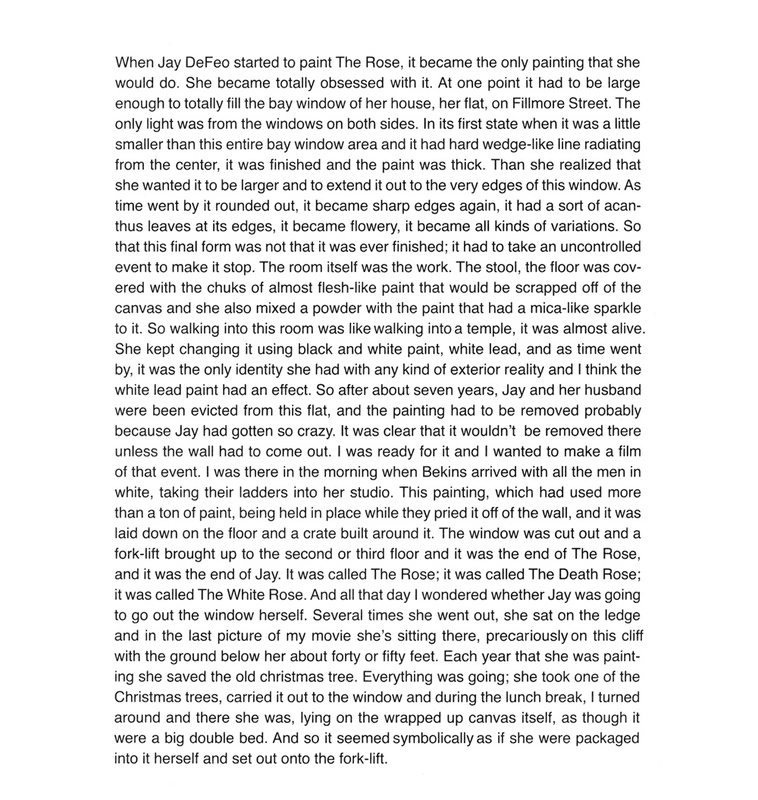 The Rose now resides in the collection of the Whitney Museum of American Art.